For a long time accessories were worn to complement a look. No longer, baby. These days many accessories are legitimate fashion items on their own merit that wardrobe are often planned around wearing them. It has happened to me personally when I found a great necklace or headpiece that makes a statement. The 9th Jakarta Fashion Week host two interesting competitions that feature promising accessories labels, the Lomba Perancang Aksesoris (LPA) and CLEO Fashion Awards. Let’s talk about LPA first. 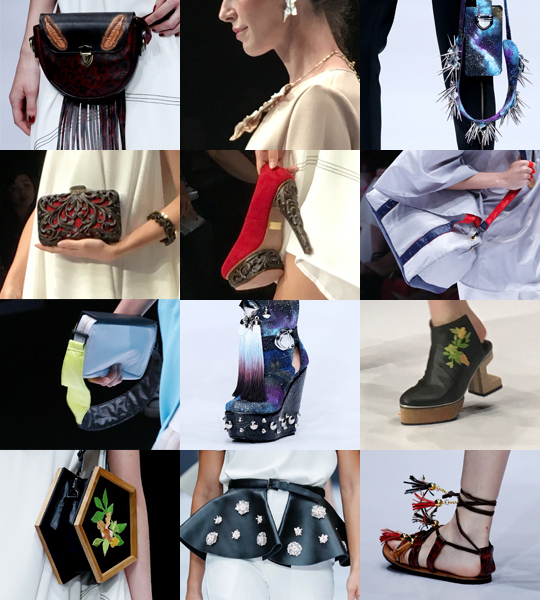 This year, 10 accessories labels made it to the finals, all of which had a chance to walk on the JFW 2017 runway. 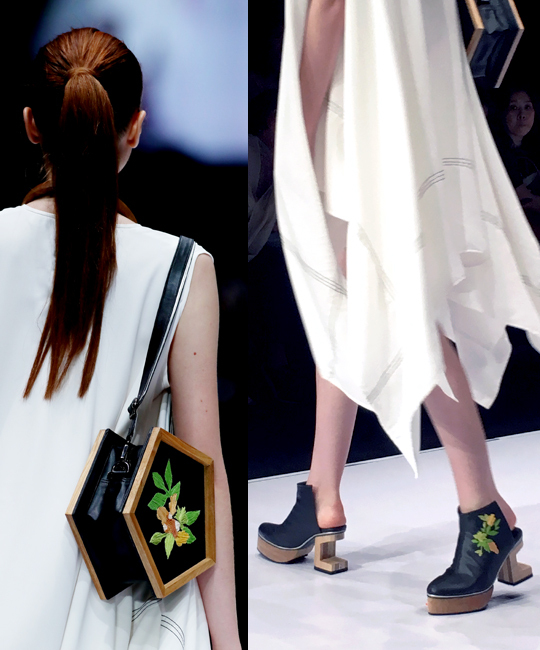 Evelyn Nathania’s “Gaia Charter” collection got into the third seat – I personally liked the simplicity of its design that didn’t devoid of style, shown mostly on its cutout, stacked heels. The shoulder bag is structured and small, a shape that has been favored in recent seasons after years of oversized bags. 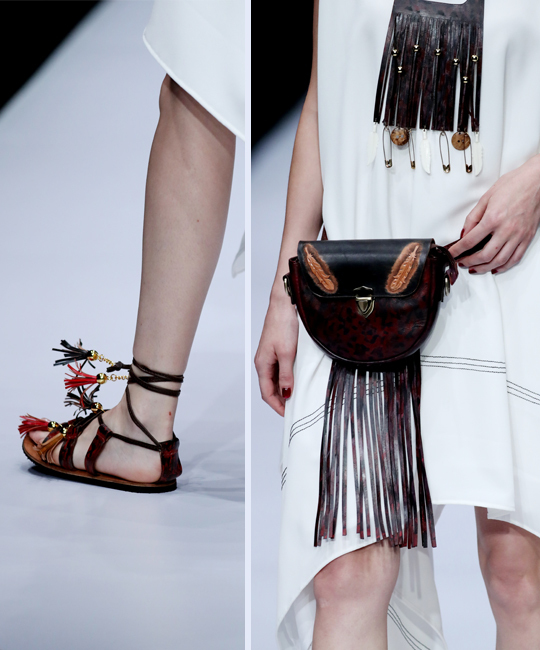 “Bohemian Wang” by Gie Sanjaya was the runner-up, although I must state that judging from its ankle – tied string sandals and fringed waist pouch in dark brown leather the overall feel is more tribal than bohemian. Yonatan Digo Permadi’s space – inspired, gleaming “Supernova” collection walked the runway the last, yet finished first as the winner of LPA 2016. The collection has a wow factor – each individual piece stands out, which takes a certain personality to carry the look as a whole. It is a type of collection that will look smashing on stage and under the spotlight. Stylists to celebrities – do take note. This year’s audience favorite winner, voted by public, is unsurprisingly the one with most commercial potential. 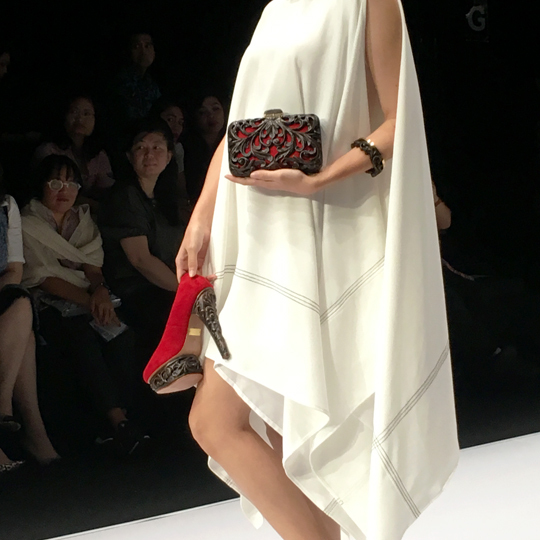 Michelle Danara’s “Shinta” collection of platform pumps and minaudiere is lovely, highly wearable, while remaining fashionable. Judging from Indonesian women’s undying devotion for clutches since our grandmother’s time, its minaudiere will sell well. What about the new talents emerging out of CLEO Fashion Awards? There were 4 labels nominated this year, with the footwear label Pvra taking the prize at the end of the show. Working with leather and handcrafted beadwork, the selection sent down the runway took form in slides with platform soles—a retro silhouette has made a huge comeback for about year now. 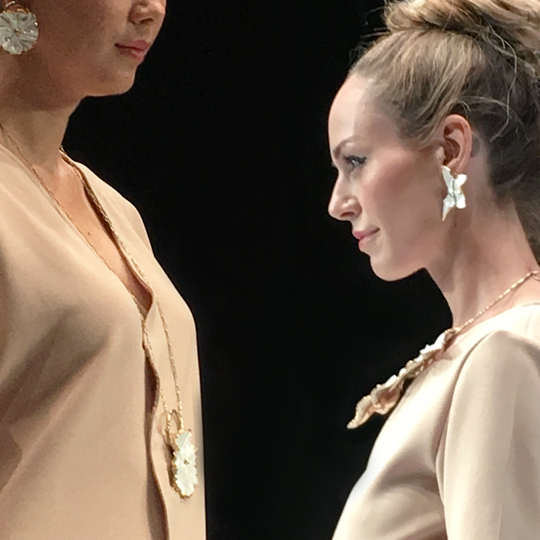 Though the beadwork seemed neat and glistening as the sandals bounced on and off the runway, the collection’s colors were decidedly muted and the shapes safe—not a choice I thought CLEO would pick. I, as many people on the front row that evening, was enchanted by another label, however. Made of ceramics that are processed and molded into statement pieces, Kar simply oozes beauty. Taking foliage as its current inspiration, the collection is exquisite, relatively classic, without looking outdated. The necklaces may need swanlike necks for optimum display, and a kind of jewelry that you plan your wardrobe around to, yet the rings and earrings are versatile enough for casual and formalwear. 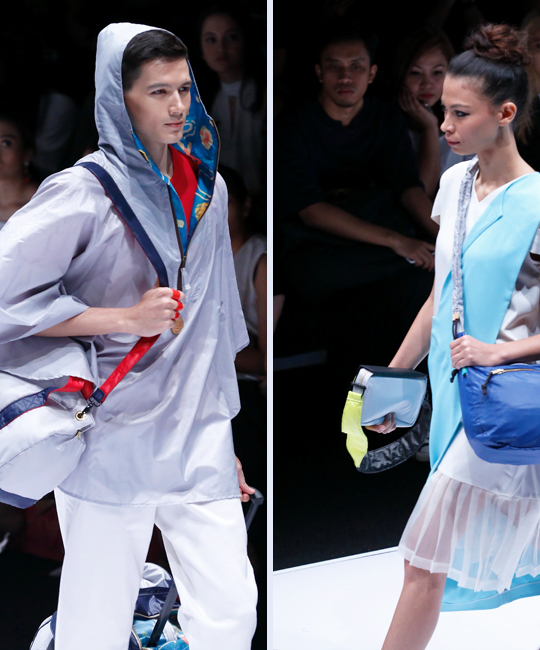 Another label also enlivened CLEO Fashion Awards was Niion, with its array of nylon bags. The material, shapes, designs and colors all screamed youthful mobility. Based in Bandung, a city filled with colleges, I can imagine Niion having a loyal base customer already that may soon expand into other major cities in Indonesia if they manage their online purchase unit properly.